Add the egg, beating all the time and then add the extract. Mix the flour, salt and baking powder together. Add this mixture and the pineapple juice, to the creamed sugar mixture. Mix together, until well blended. Grease a springform tin (24 or 26cm), and pour the batter into the tin, making sure that the mixture is slightly up at the sides. Spread the crushed pineapple over the dough, being careful to avoid touching the sides. If it does, it will stick like crazy and be difficult to take out, when baked. Mix all the toppings together (except for butter) and spirnkle over the top of the pineapple. Drizzle the butter over the topping. Bake now for 45minutes, until golden and cooked through. TIP: if you don’t want to use pineapple, you can use strawberries, apricot, peaches etc, but this is how you do it. In lieu of 2 tins of pineapple, you would use 1 cup of the fruit jam, and 1 tin (410g) of the equivalent fruit drained. You then use this liquid for the liquid above OR if you don’t want to use any fruit juice, you use the equivalent in milk. 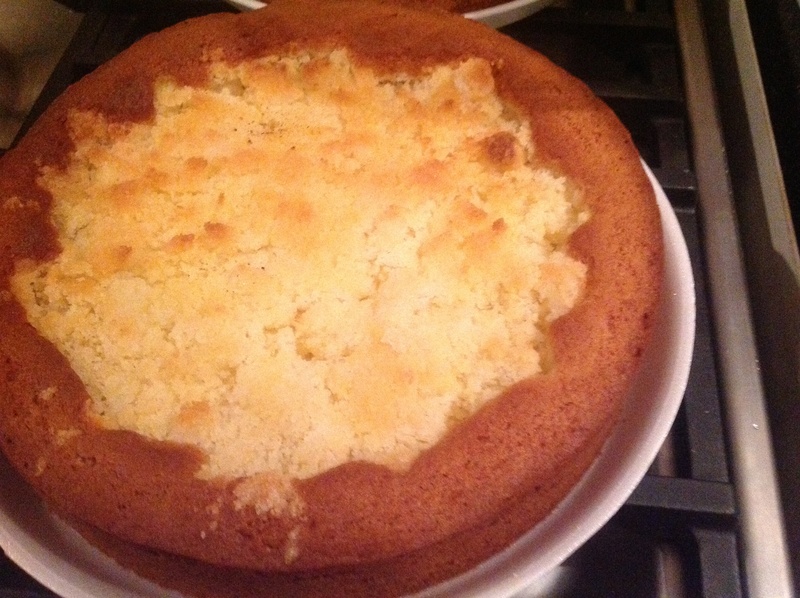 This entry was posted in Baking as easy as 1..2..3 and tagged cake, coconut, pineapple by angelb38. Bookmark the permalink.